I think it is very cool in some photos and very bad I other. In my head this means difficulty to use. With traditional clothes too has the risk of being old-fashioned. With clothing that is too tight will force the bar to trendy, or too delicate. Somewhere in the middle of the road is where they are best, I think. And most of the good photos are of us with the freedom that comes when you work in the fashion industry. Then it will be that you cannot use? Has as yes. In this text we will explore this style of moccasin and discover together the best way to incorporate a tassel loafer in our wardrobe. The tassel loafers were born in the 1940s, when tweed jackets, sweaters, and penny-loafers dominated the preparatory schools and the universities in the Ivy League. When these students from the time they formed they wanted to continue wearing as comfortable as your penny loafers, with a little more sophistication such as asking for life in the corporate world. It was at this time that an actor named Paul Lukas returned to the United States bringing oxfords European with tassels on the end of shoelaces. Passionate about detail, he asked a shoemaker from New York who did something similar. The shoemaker in turn, took the job to Alden. The president of the company at the time, Arthur Tarlow, combined with the idea and elements of the penny loafer and the boat shoe (docksider) to create the tassel loafer. You can read more about this wonderful history in this article written by Bruce Boyer. The model of the Alden is the original, and Paul Lukas was the first man to wear this style of shoe. Does not take long for the style to be released and was an immediate success. There are tassel loafers in different colors and leathers. The most common is the calfskin brown but the high point is made in leather shell cordovan reddish brown from the Horween Tannery of Chicago. I really like tassel loafers suede. They combine well with clothing and fabrics, more athletic. If you are a person who likes to go without socks in the summer, they are more soft and comfortable to wear. There are dozens of versions on the market but I’m going to indicate that you like the most. The already cited Alden has the original, and this title of classic is hard to beat. The tassel in leather, cordovan is a classic. 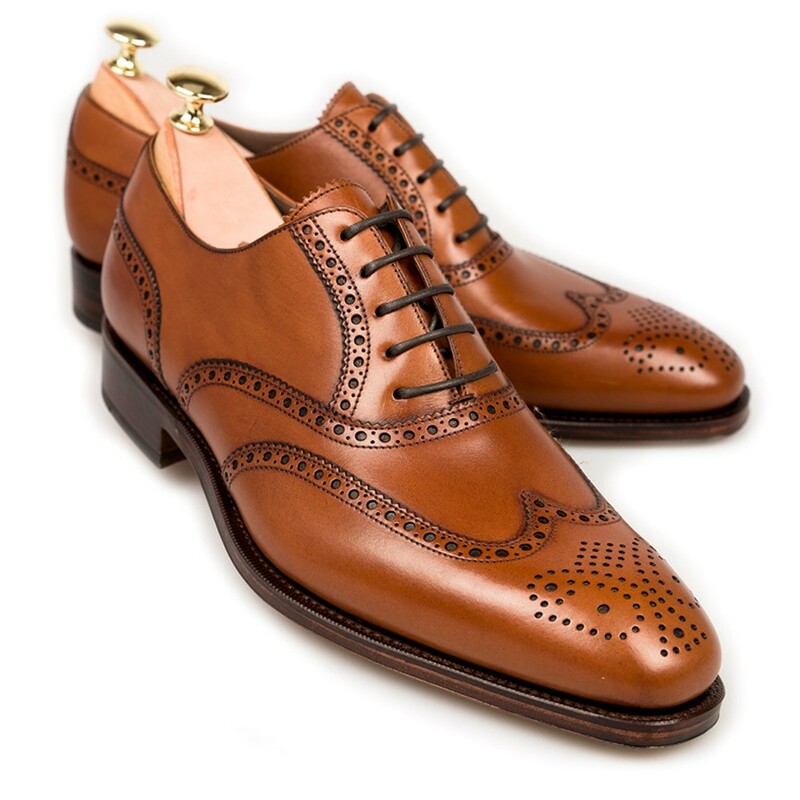 The british have the shoe Cavendish of Crockett & Jones (also available in leather, cordovan, and the Belgravia of Edward Green. The other american brand traditional, Allen Edmonds, has the model Grayson and Acheson, which have the tassel more loose, more relaxed. Quite like this second. In Spain, Carmina has in smooth leather with a seam-split toe and also the versions of suede. These are the premium options on the market. For something more affordable, I recommend the Lincoln from Loake and the versions manufactured by Meermin. Both cost around $ 175. Here in Brazil I have not found any legal format, and I don’t want to indicate only indicate some shoe any with pendurucalho. If you find, please leave a tip in the comments. It is not easy to use tassel loafers. In addition to unusual, they can be regarded to look delicate and eye-catching. In the United States, the country of origin, they are associated with wealthy money old or people who try to pass this impression. The use of the shoe in these environments is decreasing as the world of finance and big law firms try to detach ourselves from certain stereotypes. People associate this type of shoe to the older men but that is what makes it interesting when you appear in the feet of those who do not fit this profile. Taste precisely because they contradict not only the clothes, but also men themselves who use well. Tassel loafers black can be used suits, but the brown suede and shell cordovan wine or suede are the coolest coats sporting. They are the shoe of leisure then combine with the type of tailoring that you would use when it is hot.